Book 10/30 in the 2012 Reading Challenge. Date completed: May 3, 2012. Oh my goodness, this book. 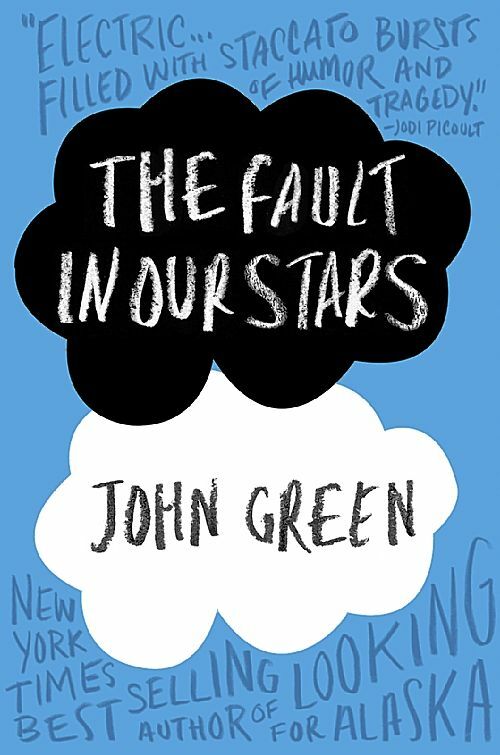 I am writing this blog review only after having recovered slightly from the blubbering mess I was earlier this evening when I finished The Fault in Our Stars. Let me first say that I rated it five stars on Goodreads. This book moved me. When I was looking for a good clear picture of the cover for this blog post, I found it used in an "ALL THE THINGS" meme. Totally fitting. I felt, to be honest, ALL THE THINGS throughout this book. My heart soared. My heart broke. Finishing out the last third of the book or so today, I can't tell you how much of it I spent crying. Yes, I'm pathetic. 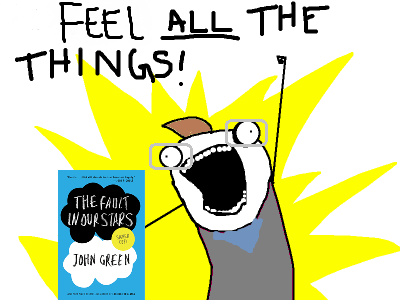 The Fault in Our Stars - to get down to the actual reviewing, here - is about Hazel Grace and Augustus Waters. Two star-crossed-lovers (I'm clearly a total sap for star-crossed-lovers) who are - spoiler alert - dying of cancer. Hazel is an avid reader and particularly loves a fictional novel called "An Imperial Affliction", which is about a terminally ill girl much like herself. I don't want to give away too much of this story, because it's really something everybody ought to experience. Suffice to say that I'm finished reading it now and my nose feels like it's going to never stop running, and I have a dull ache in my throat where the rock-hard lump was before the book ended. This book is a masterpiece in young adult literature.